Home / Tabularium Hagiographicum / De Constantinople à Athènes. 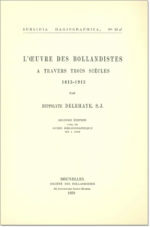 Louis Petit et les Bollandistes. De Constantinople à Athènes. 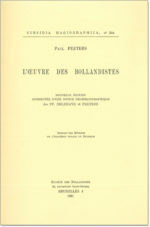 Louis Petit et les Bollandistes. De Constantinople à Athènes. 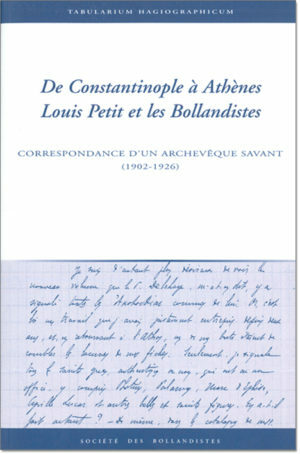 Louis Petit et les Bollandistes. 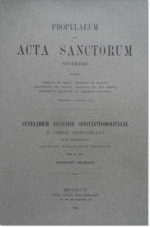 Correspondance d’un archevêque savant (1902-1926) (= Tabularium hagiographicum, 6). A native of Savoy, Louis Petit (1868-1927) became an Assumptionist in 1885. 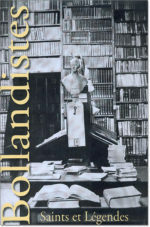 In 1895 he was sent to Kadiköy, the Asiatic suburb of Istanbul, to take charge of the research centre which was to become the Institut français des Études byzantines with its periodical Échos d’Orient. He quickly revealed his gifts as an excellent specialist in Byzantine studies and of the Christian Orient in general and he continued his research throughout the period 1912-1926 when he was Latin archbishop of Athens. For a quarter of a century he maintained close contacts with the Bollandist Hippolyte Delehaye (1859-1941), another celebrated Byzantinist. 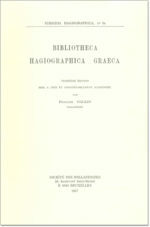 The 70 letters edited here bear witness to the collaboration between the two scholars which led to the publication of Petit’s Bibliographie des acolouthies grecques in the collection Subsidia hagiographica. The letters also contain numerous details about the actual conditions, including those at Athens and on Mount Athos, in which the two scholars pursued their research as well as about the progress of Byzantine studies in the early twentieth century.